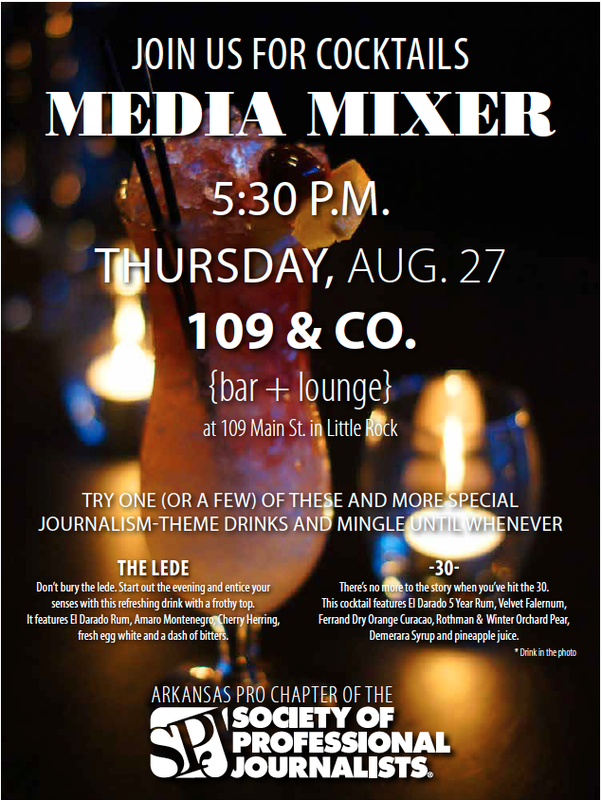 The Society of Professional Journalists, Arkansas Pro Chapter will host a cocktail mixer this Thursday, Aug. 27, from 5:30 until whenever at 109 and Co., 109 Main St., Little Rock, Ark. 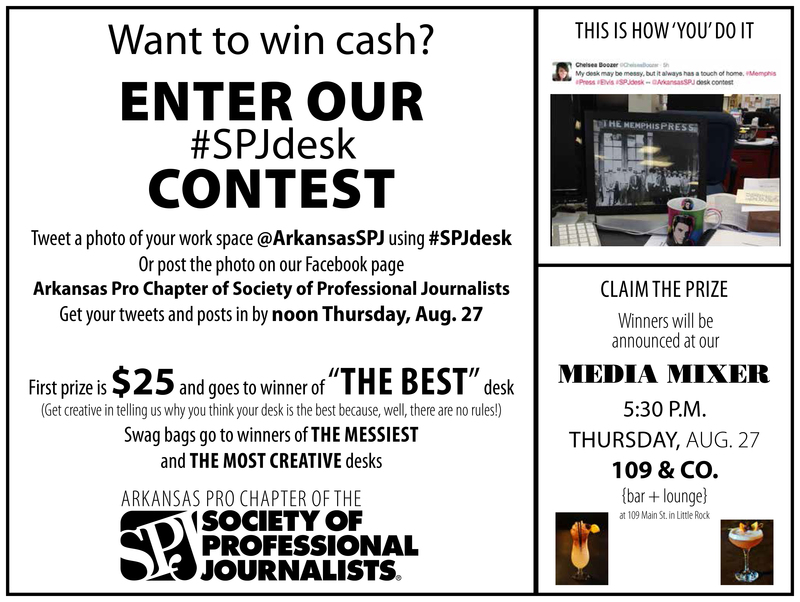 Come meet your fellow Arkansas journalists and enjoy a few specialty cocktails! See the flyer below for more info. A big thank you to board members Jennifer Ellis and Chelsea Boozer for planning this!